I’ll be honest, I’ve never been a fan of the LinkedIn app. But this may change. LinkedIn announced changes to their app recently. (They don’t often let us know about updates/changes, so this is a pleasant surprise). Your Feed (Home) is content from your network to help with your professional day. It’s based on what we determined is most relevant for your industry, function, and skills combined with what conversations and content you care about. Using the mobile app has always been clunky. The desktop version was best for modifying your profile (this should be easier now) and sending personalized invites. Make sure you take a second or two to update your news feed interests. This will ensure Pulse pulls articles you will be interested in reading and sharing. 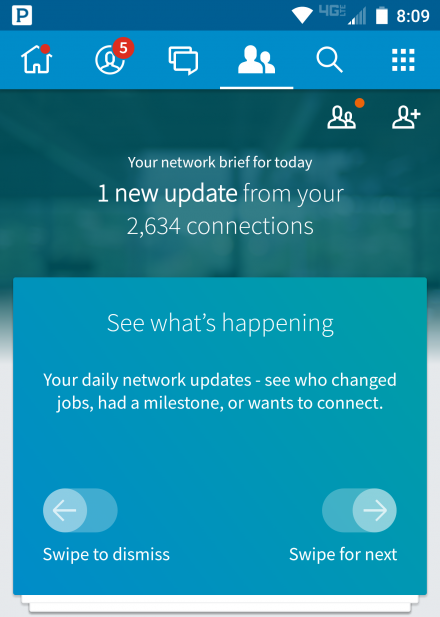 Remember, sharing industry or occupation related news (along with a brief comment) pings your network, keeps you top of mind and shows you are staying current with issues! 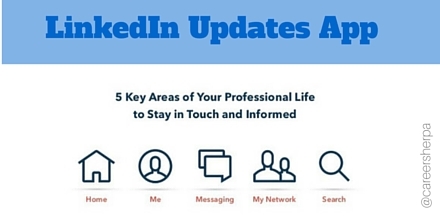 LinkedIn’s updated app makes it super easy to say “congrats” on a new job or milestone. Just go to the two head icon at the top. So what do you like best about the new app?